I'm guessing you feel the same way as I did, and so here's our list of some super easy (and budget friendly) fire pits so you can get your backyard ready for summer awesomeness. ​Yep, 1 hour, that's it. I bet you thought this was going to be an all-day event... But I wanted this list to be all about the easy stuff, and this is as easy as it gets. That being said: you'll need to discover (or rediscover) some of your muscles, so I recommend this as a group project. 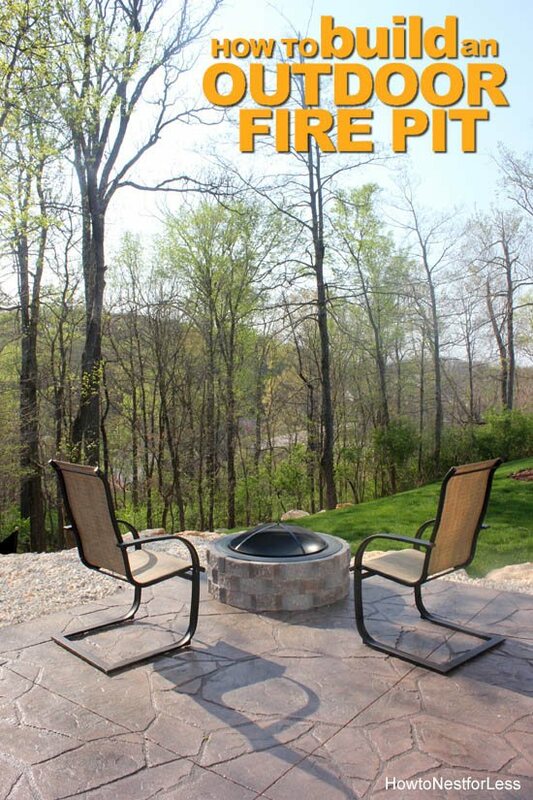 ​This Pit is pretty similar to the first list item, but with a little more detail, and some really great instructions on how to get started. Also, it's just beautiful to look at. ​Now here's something really unique. And you might be surprised how simple this is to make. It might require you to get a little dirty, and try something new, but look at the result! ​This is a youtube video I found, where one clever man creates this beautiful firepit without spending more than $50. He walks you through all the steps, but one important thing to notice is the comments of the video. Some people point out t​hat the paver used on the bottom isn't rated for ​extreme heat, and firebricks are much safer. It's worth a watch, but I also recommend consulting with an expert. ​4. 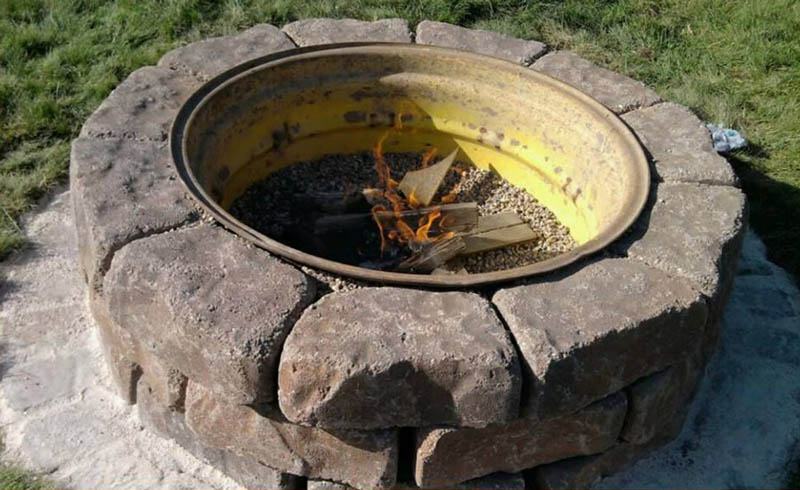 ​Make Your Own Fire Pit in 4 Easy Steps! 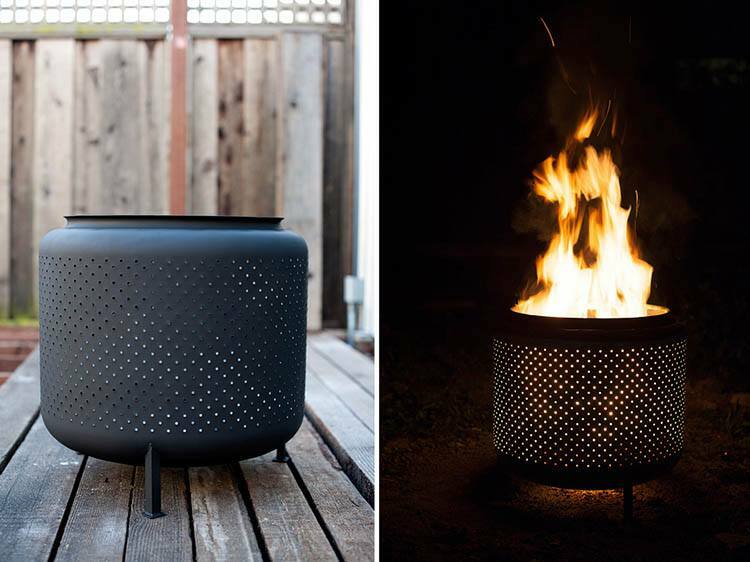 ​Truely inspiring design, and not just the fire pit, but look at everything around the firepit. Looking at these pictures should fire up (pun intended) your creative side. ​Like instructions with pictures? These guys have got you hooked up. So, so many pictures of every single step - which makes things easy to follow. Also, look how beautiful this pit turned out, it's easy to fall in love with. ​Why be circle when you can be square (or rectangle)? 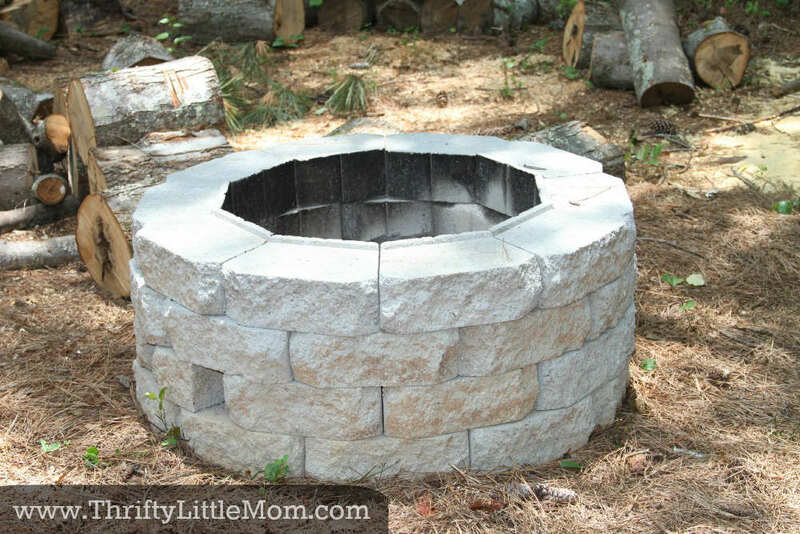 This is a cute little pit (about 40 x 40 inches), that can easily be built in a day. That being said, I don't recommend using cinder blocks as they'll tend to crack under high heat, so get some fire rated blocks instead. 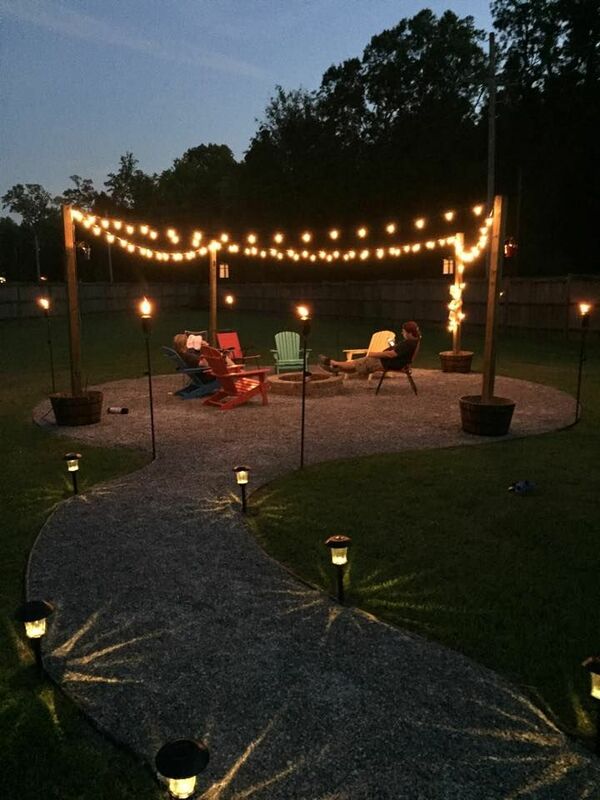 ​What I really like about this one is it makes use of an existing store-bought firepit, and takes it to the next level. You just build the bricks around it - super easy. No cementing required. ​Just like the last entry, this again makes use of an existing grill, and you just cleverly diguise it with blocks. This time using ​concrete tree rings, and a 14" grill that costs about $30. ​Got an extra tractor wheel laying around (who doesn't?) 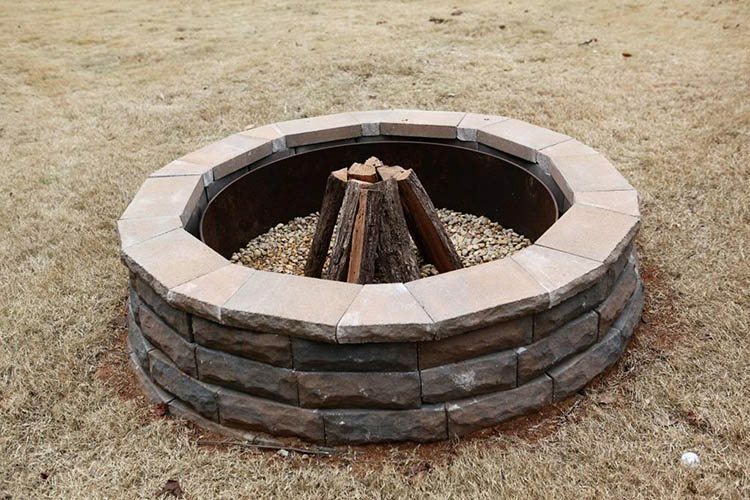 If that's the case you can use the rim to layout your next fire pit. Just decorate the outside with your rocks/bricks of choice and you're ready to roast some marshmallows. ​Don't have a tractor wheel? How about an ​old washing machine? That's right, this is the drum of a spare washing machine. That being said, there will probably be some cutting, grinding, welding, and scrubbing. But you'll certainly have a unique piece. ​No mortar needed and about $50 worth of materials for this badboy. Not to mention these instructions do a great job of laying out everything for you so it's easy to follow. 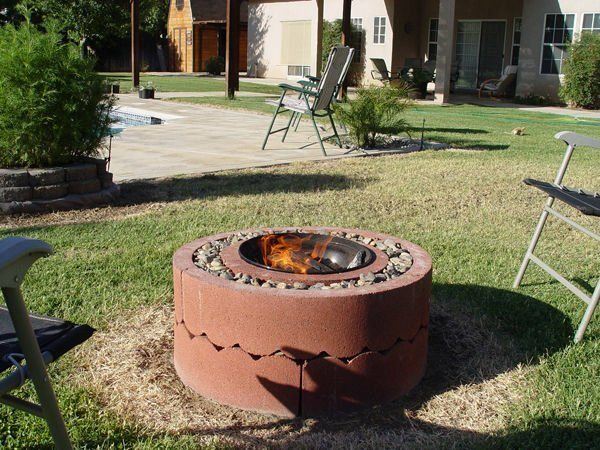 If you're feeling a little more ambitious, this isn't just the firepit - but a backyard transformation. It's certainly a lot more work - but surprisingly not that complex. And believe me, if I can do it - then you won't have any problems. ​12. 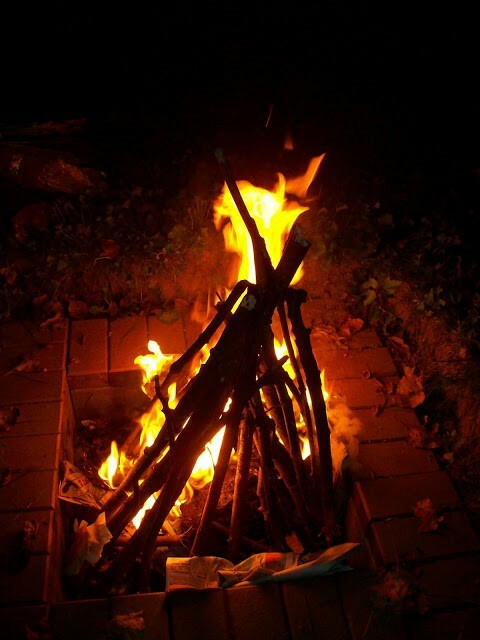 ​How to Make a Personal Fire Pit For Cheap! ​Lastly we have something a little more unique. 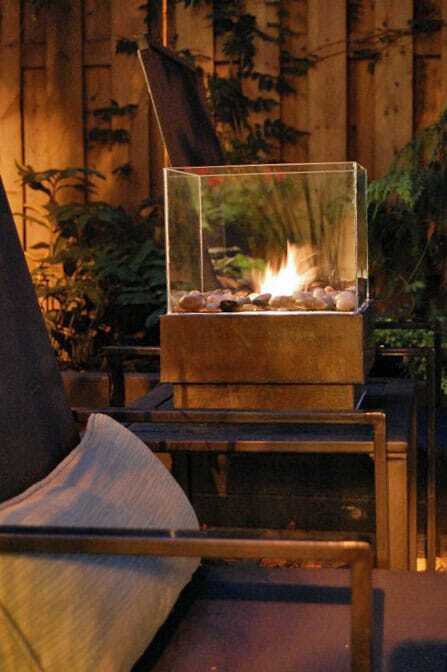 A firepit that looks like it could be the centerpiece in a upscale restaurant. I absolutely love this build and it's on my wish list.